For many investors, these six words are not only profound, but also describe a very simple and effective approach that could make you money: "Buy the fear, sell the greed." 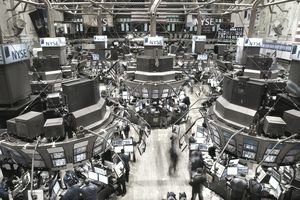 While you have probably heard this phrase before, it has the power to drive an important point home: if you buy stocks when investors are most worried, during situations when shareholders are dumping stock primarily because they are driven by fear—you can position yourself uniquely to pick up those same shares for a substantially undervalued price. Then, just like everything over time, the fear its causes will fade. Companies will regain confidence. And in the medium-term result over the next few months, significantly undervalued shares (which were dumped during a time of capitulation) could start increasing towards more realistic, much less fearful, valuations. This typical rebound leads the second part of the phrase, which holds equally true on the flip side: Smart investors who have bought the fear, now have to find the most opportune moment to sell the greed. Greed is typically created by shares which have been increasing in price. And the stocks that you bought after investors dumped them during a moment of panic will (almost) inevitably attract the hungry eyes of investors who are watching them rebound back to proper valuations, and possibly even beyond. Now, the funny thing about greed is that it is bottomless. If the shares go up 100 percent, the shareholder gets excited and hopeful that he or she might reach a 150 percent gain. If those shares increase to an amount of 150 percent, that same shareholder will be holding out now for 200 percent. Typical investors aren't looking for profit-taking opportunities, they are hopeful for even greater gains. Once an investment has started moving higher, that is the point at which investors who are sitting on a pretty substantial profit, start telling their friends. And many other people who hear about the big investment gains, can't resist jumping into the game, which helps drive the price even higher. The higher the shares increase, the more greed it will attract. But greed will not help you establish a long-term, reliable, and profitable investment plan. Instead, it locks many investors into the promise of making more money, even after the price has risen above appropriate valuations. And this puts them at the risk of holding onto those shares for too long, losing value fast after the price goes back down. Keeping this in mind, investors should know that greed is like oxygen—it's in all of us. It can't be seen and affects every second of our lives, but for some reason, no one really pays attention to it. And therefore, greed can cloud judgment, making people hold on to some stocks way beyond practicality. This is why these six deceptively simple words —"buy the fear, sell the greed" — are powerful tools for investment. This phrase is actionable advice that brings the essence of years of financial experience and knowledge to all investors. And could help you determine the best moments to buy and sell.